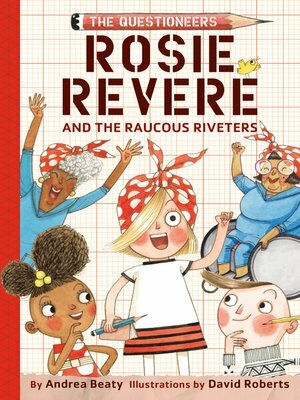 Rosie's beloved Aunt Rose and her friends, the Raucous Riveters—a group of fun-loving gals who built airplanes during World War II—need help inventing something new. And Rosie is just the engineer for the job! Andrea Beaty is the author of Iggy Peck, Architect and Rosie Revere, Engineer, among other children's titles. She lives just outside Chicago.